Simone Pulver is the Joukowsky Family Assistant Professor (Research) of International Studies at the Watson Institute, and works in its Global Environment Program. She has a joint appointment as an assistant professor of environmental studies in Brown’s Center for Environmental Studies. 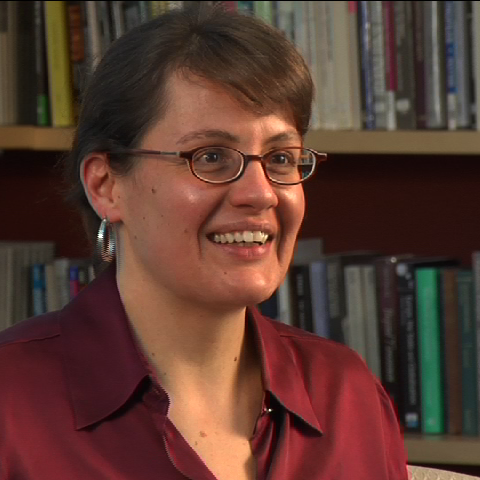 Pulver also holds an appointment as an adjunct assistant professor of sociology at Brown. Pulver joined the faculty of the Watson Institute in 2003. She received her doctorate in sociology from the University of California at Berkeley and also holds an MA in energy and resources from UC Berkeley, as well as a BA in physics from Princeton University. What are the disagreements between the North and South? What are the environmental problems associated with wealth and poverty? How should we think about environmental issues? How has the oil industry responded to climate change? Why didn’t the United States ratify the Kyoto Protocol? How does the public play a role in environmental politics? What is an example of a successful international environmental initiative?